One of the nation’s oldest, largest, and most reputable study abroad providers, IES Abroad is a Chicago-based not-for-profit academic consortium that enrolls more than 5,500 students from 185 U.S. colleges and universities annually. IES Abroad offers programs in Beijing, Shanghai and Kunming. One of the nation’s oldest, largest, and most reputable study abroad providers, IES Abroad is a Chicago-based, not-for-profit academic consortium that enrolls more than 5,500 students from 185 U.S. colleges and universities annually. With nearly 100 high-quality academic study abroad programs and internship opportunities in 34 cities, we are dedicated to fostering cultural immersion and intercultural development. Since our founding in 1950, nearly 80,000 students have participated in our international study abroad programs. 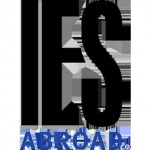 IES Abroad operates programs in Europe, Africa, Asia, South America, Australia, and New Zealand.